Dinosaurs and the other archosaurs were a minority for most of the Triassic . Other reptiles living at this time were turtles , lizards, placodonts, ichthysaurs, nothosaurs, aetosaurs, phytosaurs and rauisuchids. In the Jurassic Period the climate was warm and increasingly humid which enable llarge forest to flourish this set the stage for the gargantuan long-necked sauropods to evolve. In turn large predatory theropods evolved to hunt them. 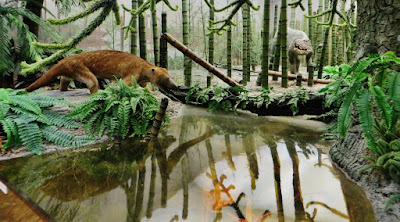 The Jurassic Period landscape was not as dry as the Triassic one. The warm and humid climate produced larger and thicker forests . There was plenty of dinosaurs food in the Jurrasic World . 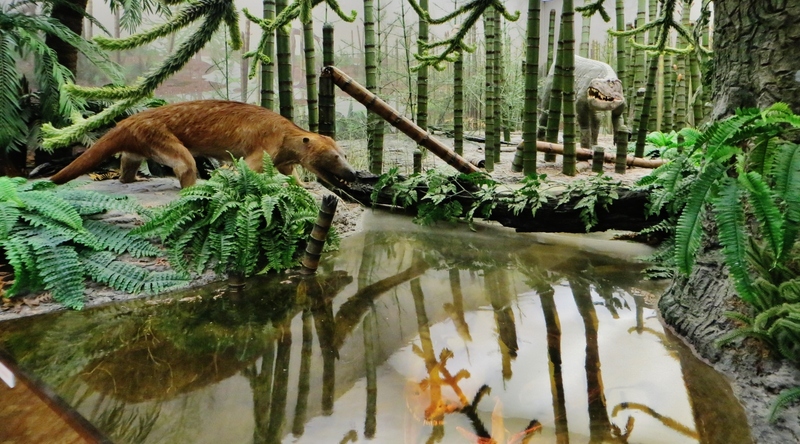 Meat eaters feasted on Turtles, crocodiles , lizards and insects . 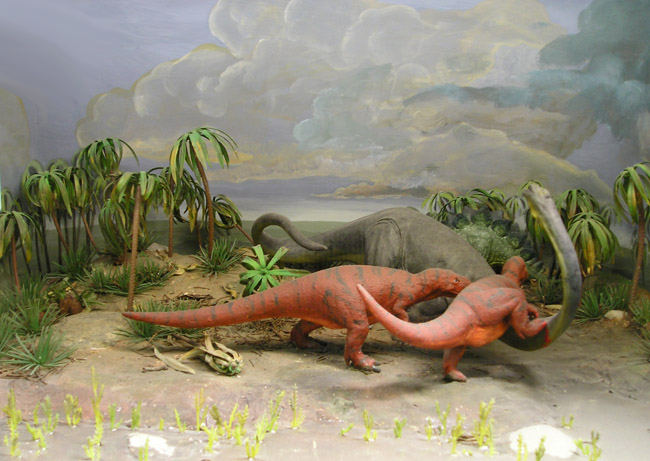 During the Cretaceous period the moving continents created a more seasonally variable climate. Temperatures remained warm in the tropics but were cooler in the high latitudes . 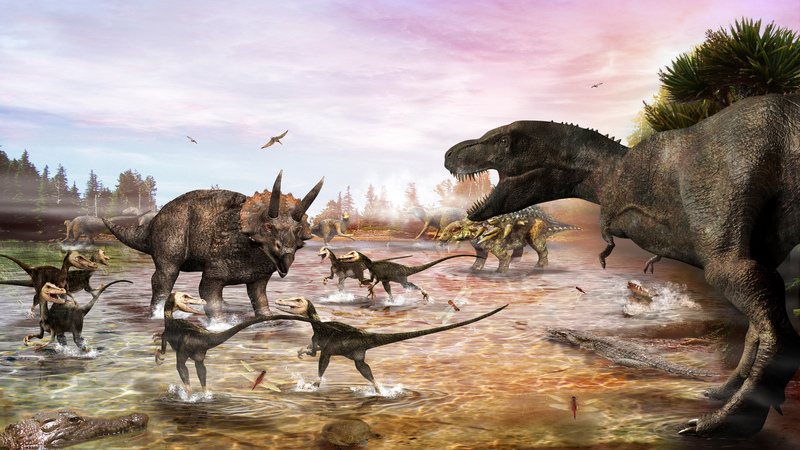 throughout the world, dinosaurs diversified into many kinds, and birds and mammals also became more abundant . The first flowering plants-angiosperms-appeared in the early Cretaceous and gradually took over the landscape. At the end of the period , a massive meteorite impact threw the world into chaos . This may have caused the decline of the dinosaurs although some groups had already begun to die out.